At times like these of uncertainty and rapid change, our university’s role has never been more critical. As we create, advance and preserve knowledge and fulfill our public mission, we at the University of Washington have a part to play in a healthy democracy. We foster and teach critical thinking, invite reasoned dialogue and are steadfast in our commitment to the open exchange of ideas. We welcome everyone’s contributions and value the richness and perspective they bring. At the same time, we strive to guide our students in understanding that the rest of the world isn’t so far away, that it can sometimes be challenging and difficult to reconcile different points of view, and that we are all interconnected, global citizens. I had an extraordinary reminder of this earlier this year when I was invited on the first direct commercial flight from the West Coast to Havana, the city where I was born. It was a whirlwind trip—just two days—and an astounding opportunity to realize that Cuba, the country my parents fled and were never able to return to, is now just a 4½-hour flight from Los Angeles. This wasn’t my first trip back to Cuba. But I was again reminded of the life-sustaining role that creativity and innovation have played there. More than 50 years of trade embargos and economic isolation have made this a nation of tinkerers and inventors. They modify and repurpose everything from washing machine motors to metal food trays to solve their day-to-day challenges. It is also a country that, despite periods of extreme economic hardship, is alive with art, dance, and music. Although the future of Cuban-American relations is uncertain, I hope for greater openness and continued engagement. There is so much we can learn from one another’s strengths and, in turn, we can share knowledge for the benefit of all. In short, we should find ways to collaborate. None of the serious challenges we face–climate change, disease, poverty, racism, xenophobia, injustice–will be solved by one person (no matter how brilliant), by one institution (no matter how dedicated), or by one nation (no matter how wealthy or powerful). Solutions to our massive and interconnected problems will only come from deliberate and thoughtful collaboration across disciplines, and between universities, industry, nonprofits and governments. Moreover, to be truly successful, our collaborations will have to be global. Research universities like the University of Washington are singularly equipped to foster this kind of cooperation, setting the conditions for new discoveries and the rare, serendipitous leap forward. As the UW enters the early phases of our Population Health Initiative, a long-term vision for improving the health and well-being of people in our own communities and around the world, we will create more spaces and opportunities that allow that kind of collaboration to occur. We’re making significant progress toward this goal. 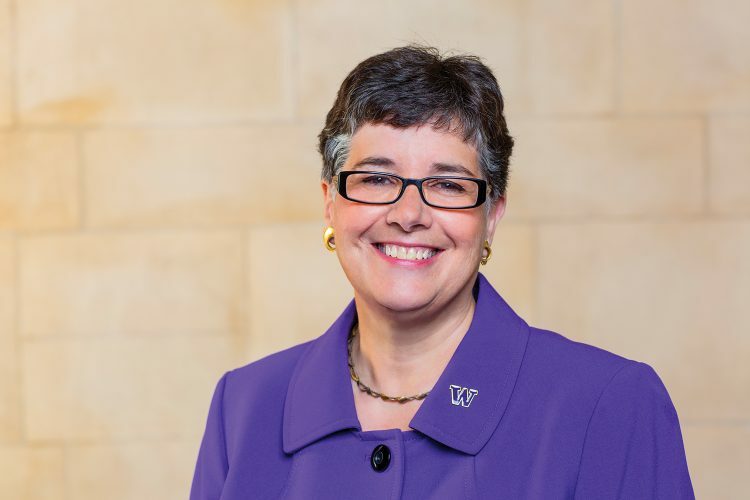 The Bill & Melinda Gates Foundation recently made two transformational investments in the UW, one to fund a new population health facility and the other to expand the work of the Institute for Health Metrics and Evaluation in UW Medicine. These will accelerate our efforts to solve pressing population health challenges—like the disproportionate rate of breast cancer mortality among African American women or the increase in river flooding due to climate change—by reducing the barriers to interdisciplinary work and improving the way we train and educate students and practitioners. The Gates Foundation, one of our most passionate partners in this endeavor, has an unofficial motto in the proverb, “If you want to go fast, go alone. If you want to go far, go together.” Thanks to you, our worldwide community of alumni, supporters and friends, we will go very far—together.